CORSICA ALSO CALLED THE ISLAND OF BEAUTY GOT highly THE COLORS OF FRANCE. find 7 golf places ! Off Menton (Côte d’Azur) and with an area of 8 700KM2, it offers landscapes sometimes mountainous, sometimes Mediterranean or plains that compete in beauty; you can without closing your eyes you believe in the four fabulous points of the world. You will find in Corsica 7 places to practice golf spread on the island. Others projects exist, we look forward to them. 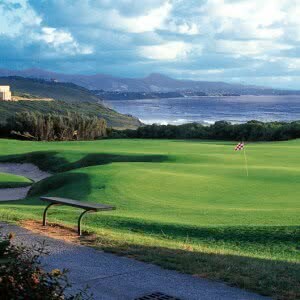 You will find in GOLF STARS research all golf courses of Corsica. For example, the latest addition is the Murtoli Estate, which offers a luxury hotel and an on-site residence and 12 holes to satisfy its passion. The famous and sumptuous Golf de Sperone 4 * Golf Stars proposes a lodging in partnership with the residences of Piantarella to prolong your discovery of this course and its mythical hole number 16. To play it at least once in his life is essential while taking advantage of ‘a dream holiday in this paradise island and the village of Bonifacio nearby. Also worthy of note is the 3-hole Golf 3* golf course of 2235 meters (par 33) designed by Pierre Lanzalavi in Speloncato. Located among the olive trees, its course, wooded and hilly, will give pleasure to all players. Do not forget to come back from Corsica to give your opinion and advice in the Golf Stars golf cards ! 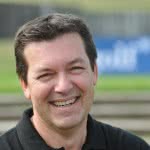 After a period of 8 years at the Express, I became a golf enthusiast and I now have 25 years of experience including 17 years at Golf Magazine and Golf Européen. Golf Stars is the result of a long reflection during all those years in the service of our common passion. Britain, the sea, the ocean and 40 golf courses in 2018 ! The life-giving, beautiful and varied Brittany region offers a rich sample of golf courses at all levels for all budgets. Visit and play golf in Brittany ! Welcome in the south west of France, the French Basque Country and especially in the Basque Country North which includes 13 golf courses in the territory of the Pyrénées-Atlantique.